A little group of things currently sitting on our cabinet. We decided to sell this set of cabinets, with their great Super Front legs and plywood top (covering a big scratch). The dining room is ready for a change. A new and bigger table, hopefully soon, will be here along with enough chairs for the whole family plus guests. Tomorrow the new owner is picking this up so I might as well enjoy using it for candles and books while I still can. 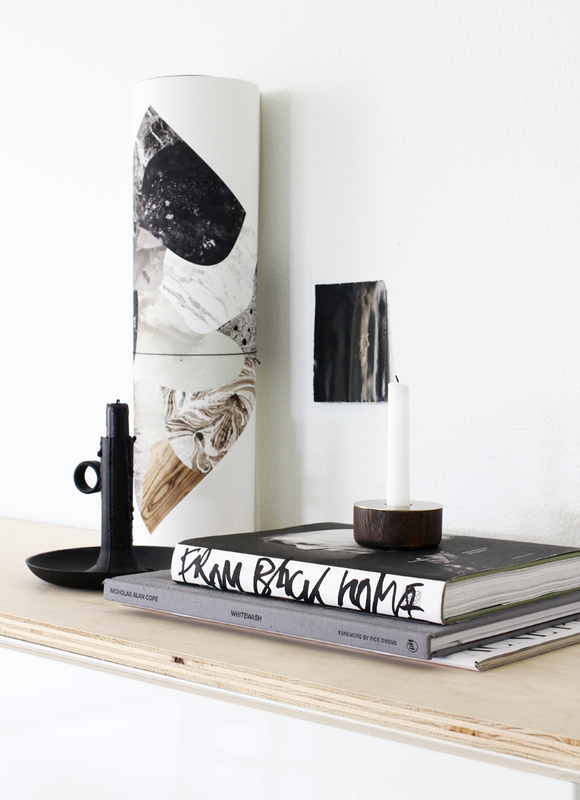 Black candle holder from Ikea, poster from Kristina Krogh, books from Amazon and Acne, Menu chunk of wood/brass candle holder. Chairs from Muuto & DWR. Oh love that cabinet, have it too and the black candle holder, but it will make someone happy. Sure the next one will be lovely. Enjoy! it feels good to change things up from time to time. and i definitely relate to wanting a bigger dining table to accomodate more guests. we used to be able to seat fourteen, and we invited friends over for dinner parties all the time. i miss those days! 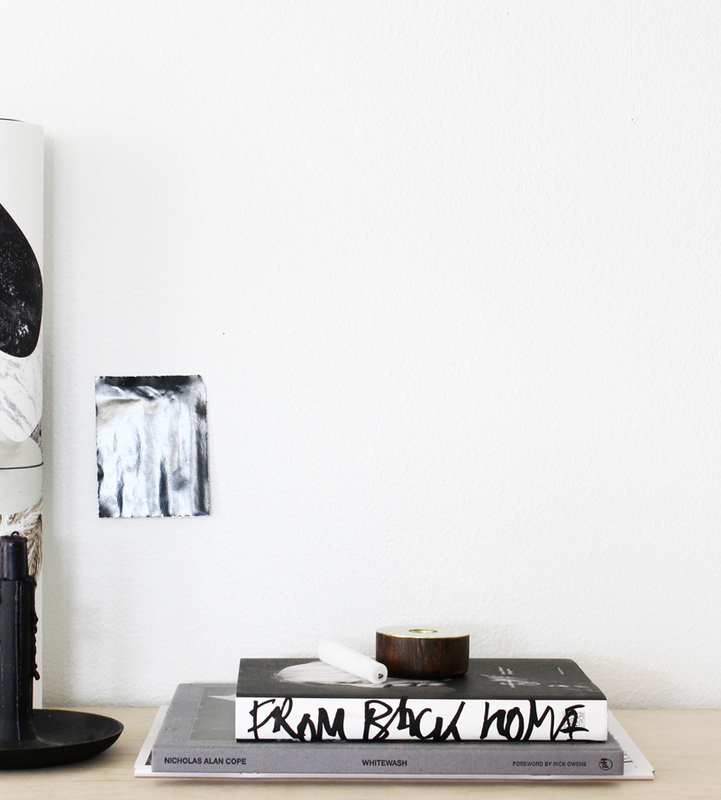 Love that black Ikea Björkefall candleholder. So sad its discontinued...? Love the Menu Chunk of Wood Candleholder! Looking forward to seeing your new space too. I really like the poster!